As with anything else, there tend to be trends and favorites when it comes to endangered animal species. The polar bear, the orang-utan, the rhinoceros, the tiger, the lion are the iconic poster animals of conservation. The animals that draw attention, affection, and donations. We like to identify with our favorites, and like to think that our favorite animal says something about who we are as individuals. They are often the alpha creatures of their ecosystems, the main hunters or the largest animals. Maybe it’s in human nature to associate ourselves with the big guys. And from the standpoint of conservation, it’s not the worst approach. Saving the big guys, by definition, means trying to save all the other elements that support their survival. The ecosystems, the prey, and territory. And then there are the little guys. The ones that fill a niche between smallest and largest, or look like any number of other, similar animals, or are too little known to achieve star conservation status. These forgotten species come from all corners of the animal world, from snails to clams to sloths to owls. Or, until recently, the pangolin. What prompted me to write this today, however, was the small news item that a famous pop singer, Lady Gaga, was bitten by a slow loris that had been brought in as a prop for her music video, which was being shot in Los Angeles. There was another recent slow loris story when Rihanna had her photo taken with a captive loris in Phuket, Thailand, last year. I’m pretty sure neither of them knew that the slow loris population is rapidly decreasing, and that whoever held a slow loris up next to them had directly contributed to that decline. 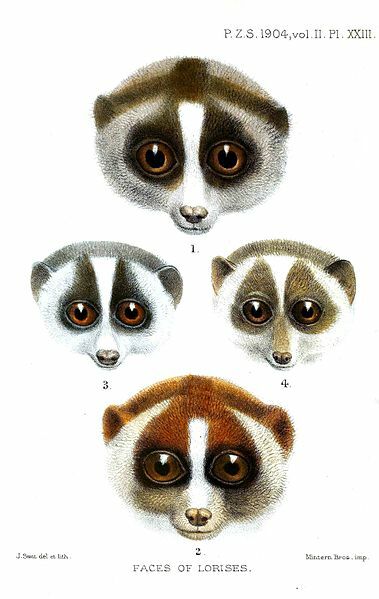 All eight species of the slow loris (genus Nycticebus) are currently listed as vulnerable or endangered, due to their popularity in the pet trade, or to their supposed medicinal values. The slow loris is a small primate that doesn’t travel well, it doesn’t breed well in captivity, and it doesn’t make a good pet. I won’t even go into the unspeakable treatment undergone by the slow loris to make it ‘suitable’ for handling. But it has those adorable eyes. The total number of animal species on Earth is estimated at 8.7 million. I suppose, and hope, that the slow loris will win its conservation advocates, perhaps even aided by these stories, because it is particularly cute and looks more like a toy than like a real animal. With any luck, these stories won’t make more people head out to the markets where the slow loris is sold openly, in spite of its status and the ban in all countries on selling it or any of its parts. I suspect the multitude of endangered arthropods and molluscs won’t have it as easy. 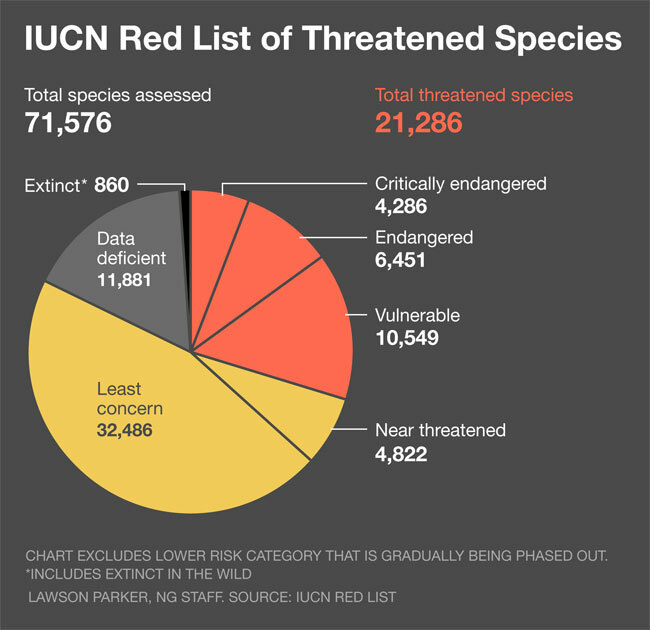 The endangered list grows longer by the day, even as there are efforts in the United States to roll back the Endangered Species Act. It requires a widening of the gaze to stop playing favorites, changing our habits, and an acknowledgement that not all creatures are simply there for our amusement and consumption.